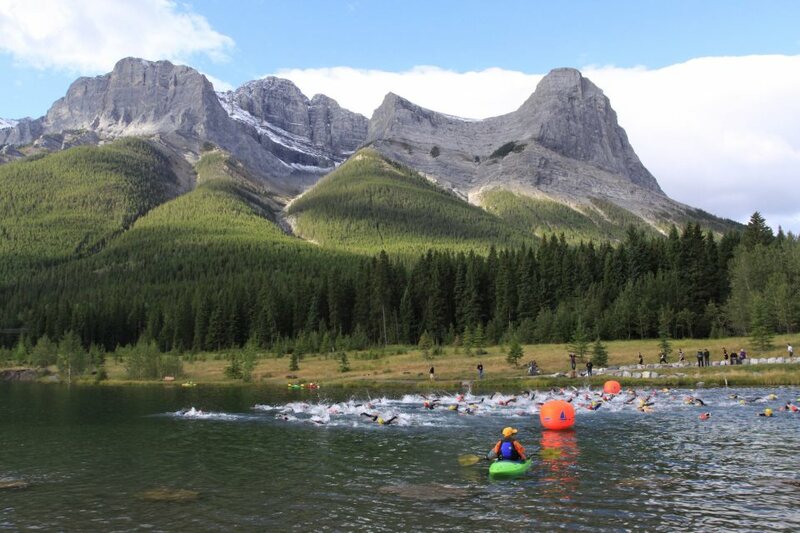 Lesson #1 boys and girls: ALWAYS pack your wetsuit when traveling to a triathlon race! EVEN if you’re revisiting a venue where the water has been pretty much as warm as bath water on the same date over the last seven years! Otherwise the saying, “You can’t win the race in the swim but you can loose the race (or feel out of the race/contention) in the swim” will ring even truer! 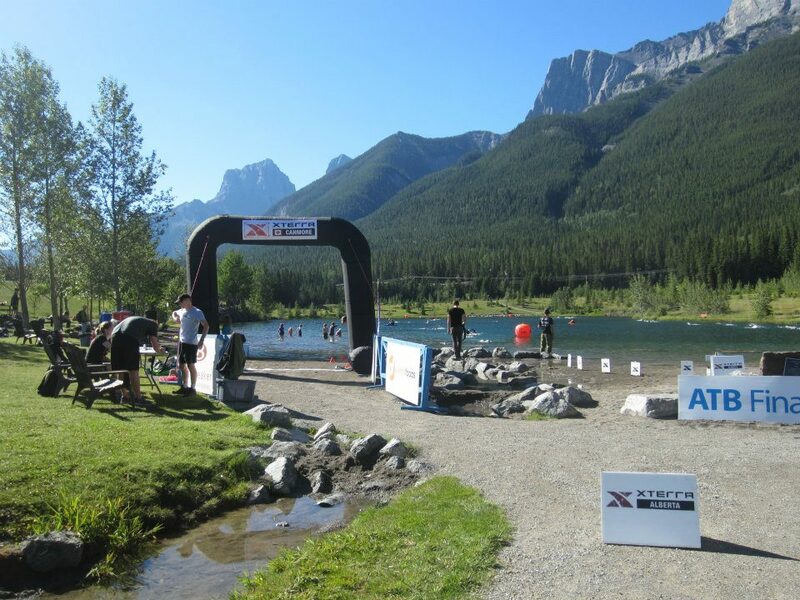 I wasn’t the only Pro in the Xterra field who had traveled to Pelham, Alabama for the Xterra Southeast Championship without a wetsuit. 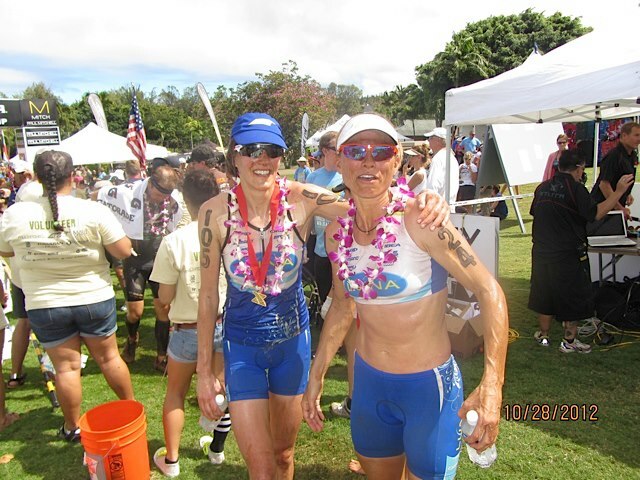 Others had wrangled up, borrowed, bribed and begged for a wetsuit but in the final countdown to the gun it was only my teammate Suzie and I still left with bare arms and legs on the 8:30am start line Saturday morning. Either way, whoever took the water temp must have had a pretty faulty thermometer because the water was no where near “wetsuit cold” anyway! I’m usually the first to get cold and loose feeling in my fingers, so not the case here!. I tried to focus on the positive, at least I wasn’t overheating in a wetsuit as I felt like I was being left behind long before the first buoy! As a side note, the buoyancy of a wetsuit can help you swim at least 4-5 seconds faster per 50m. 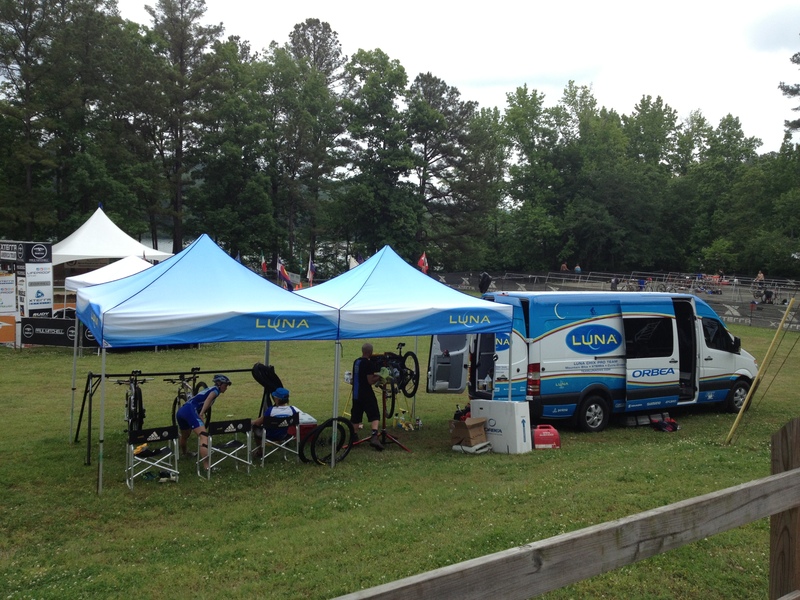 The other excitement for race morning was doing some last minute tire changing to prepare for new wet and slick trails from the all night thunder storms. 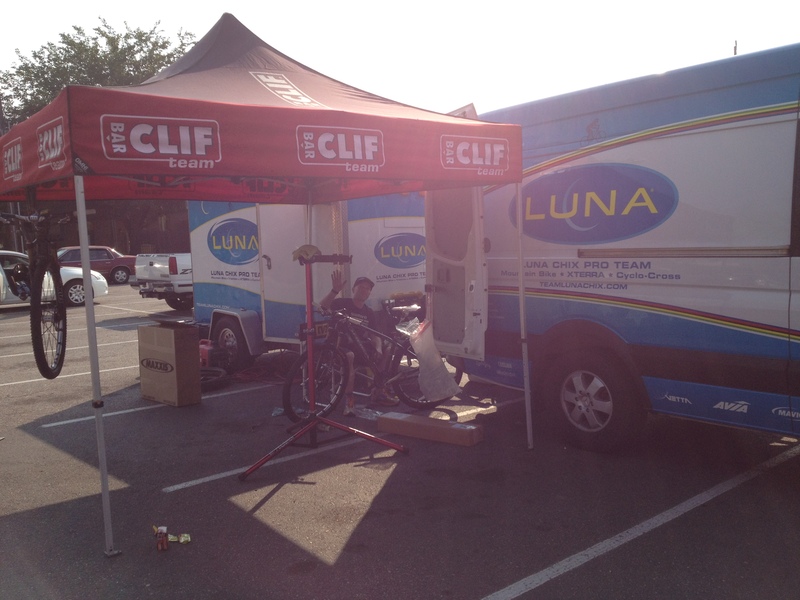 As always, it was amazing to have our Luna team mechanic there supporting us and virtually eliminating any pre-race bike stress! While I’m not typically one to do a rain dance, I was feeling kind of excited about the new challenging element to the day! Brandi and I checked out the first 10 minutes of single track before the race. What our homestay Jerry would say was somewhat true: “when wet, the roots here slippery as a boogers on a door knob!”, but as long as you had even a teeny bit of Mo, Flow and Finesse it was all good! Otherwise, the trail seemed to drain pretty well and some corners were even tackier for better cornering. It was only the many super greasy bridges that took many people out! While momentarily feeling pretty discouraged and left behind in the swim by my self-induced disadvantage, I put aside millisecond thoughts of quitting and focused on swimming as hard as I could, if only to get on my bike and start having fun sooner! With a bit of a cluster the first half of the bike and a few “we lost a few more on the bridge back there” shouts (LOL) I got through the first 30 minutes of pure single track unscathed and upright. When out on the double track I did notice my legs were lacking a bit of punch and weren’t feeling stellar. Especially up the long double track climb, my usual strength. No matter, it was fun and down blood rock I caught up to super mom of 5-month old Torin, Emma. On the next uphill section she slowly gapped me again (come on legs!). Near the end of the ride I tried to stay positive when someone shouted to me, “Stay in it! !”….hmmm…will I even be IN this race on the run! After a Clif Espresso Shot at the end of the bike and a cup of flat Coke downed in the first half mile of the run I was starting to feel pretty good! It also helped that the temp was cooler than the usual 95F. Unlike in Vegas, I at least felt like I was moving somewhat quick on the 2-lap run course, other than when I had to back track and retrieve my shoe from the one huge mud hole! I caught Christine in the second lap and ended up 9 seconds short of Emma at the finish for 7th place for me for the day. Emma had a stellar race with the 3rd fastest run split and I can’t say I was too surprised. 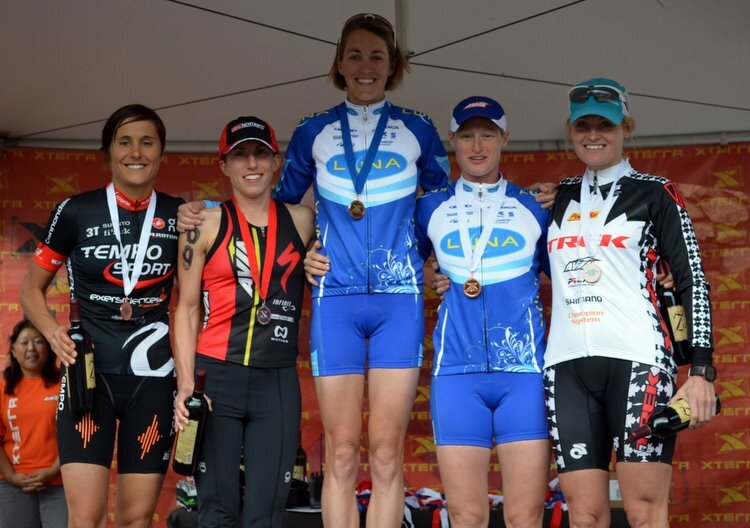 I remember how awesome I was feeling at 5-months PP with Nico at the 2010 Xterra Worlds until a flat on the bike put me out of podium contention. Go postpartum pregnancy hormones + hard work of course! Up at the front of the race Lesley Paterson took the win by running down Melanie (who had the fastest bike split and turning 40 the day before – woot woot!) after T2. 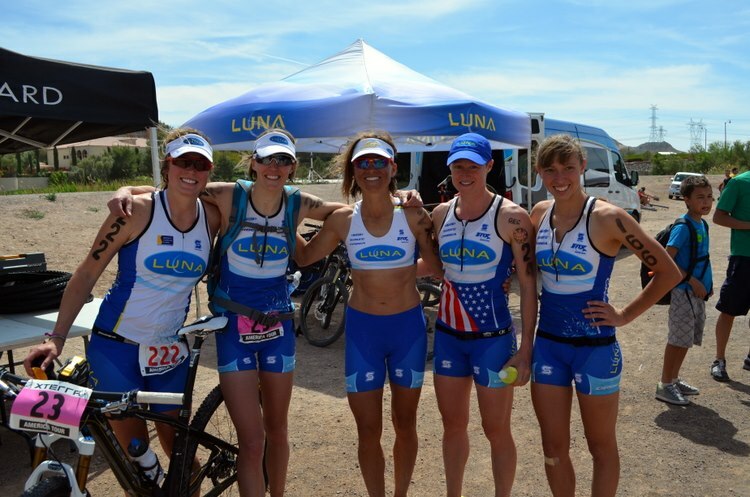 I was also super proud of my super mom/friend Brandi who took 3rd with a fantastic overall race and the use of her mad skills on this real mountain bikers course in front of my Luna teammates Shonny and Suzie in 4th and 5th. For sure I’m disappointed and starting the race with a disadvantage before the gun even goes off is a mistake I don’t plan to repeat! But I put in my best effort for the day despite the circumstances and had a blast pre-riding and racing the awesome trails at Oak Mountain State Park. I would highly recommend this event to anyone! 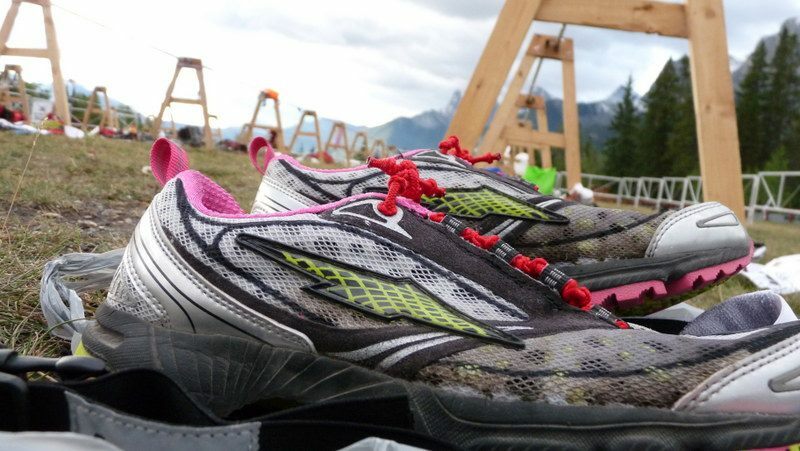 Between the pre-race birthday pedicure party and post-race Margaritas, and way too much laughing all-around I’m good to put this race behind me and look forward to seeing all my Xterra friends again in Richmond, VA in three weeks! Thanks to our homestay hosts Jerry and Kathy who have put me up and at least 6 or so other Pros ever since I first started coming to this race in 2006! Let me introduce you to Kelley Cullen from New Castle, Colorado. 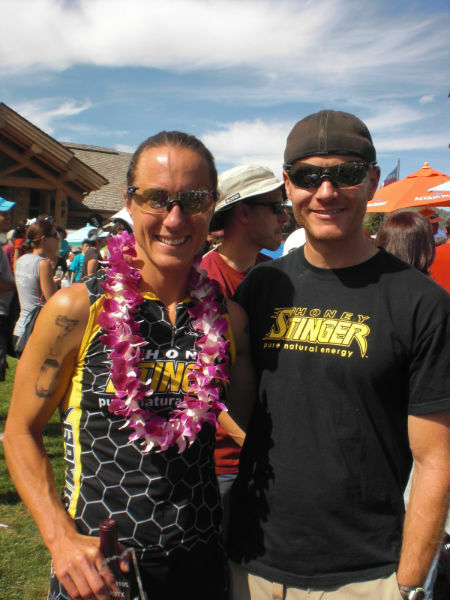 She is a mom of two, and races for the HoneyStinger Bontrager Offoad Team. 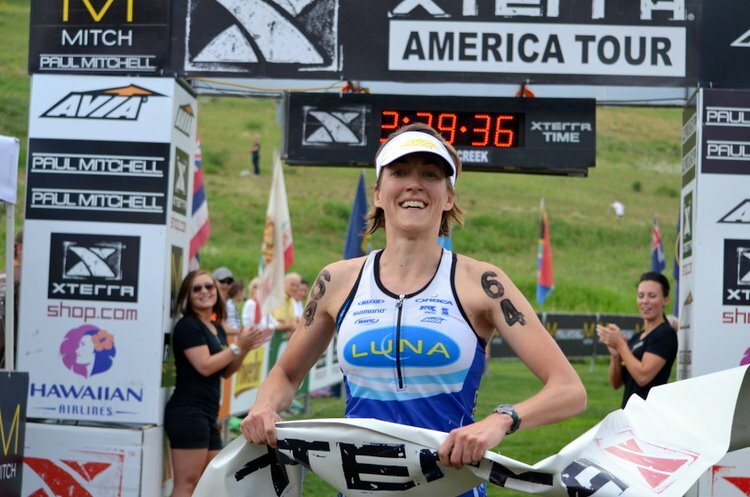 A super skilled mountain biker and ex-competitive swimmer means Kelley is always a threat on the Xterra circuit, one highlight being a 4th place finish at U.S. Xterra Nationals in 2011. Below she talks about her athletic evolution through mom-hood so far. My highlights from this interview are her take on “training” versus “exercise”, not comparing yourself to other athletes (or even athlete moms), finding the balance to do what’s best for you and your family, and going with the flow, or rather unstructured life of being an athlete with a family! Read on and ride on…. 1. What was your life as an athletically (or otherwise) before having your children? I grew up with 8 siblings in a very diversely active home in Spokane, Washington. One of my brothers tried out for the Green Bay Packers NFL draft, my twin sister is a professional enduro motorcycle rider, another brother is on his way to the University of Oregon on a full-ride football scholarship, and my youngest sister (who still has two years of high school left) hopes to play softball in college. I was a competitive swimmer growing up, but burnt out from swimming too much around age 16. My mom encouraged me to try something new so I started running. My last two years of high school I ran cross-country and track while still swimming half-heartedly. I loved the new change and ended up choosing to run cross-country, indoor track, and outdoor track for Montana State University in Bozeman, MT. 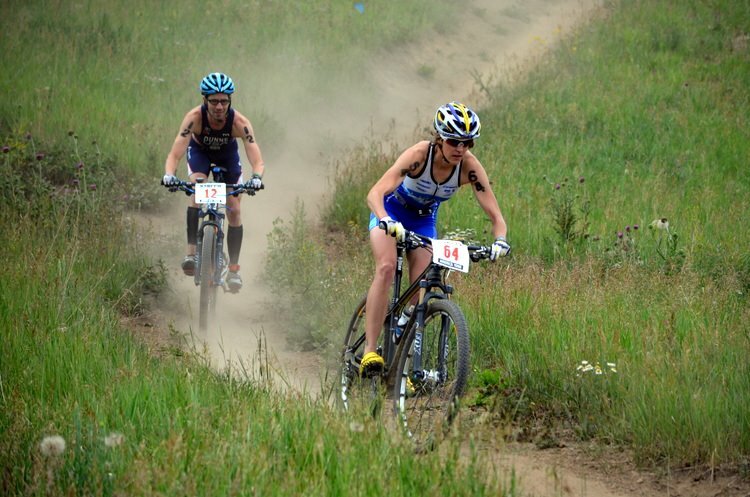 Upon graduating college my identical twin sister and I decided to move to the Roaring Fork Valley in Colorado and that’s when I discovered mountain biking. That was the beginning of a whole new kind of adventure that I have not stopped enjoying trail riding/running! 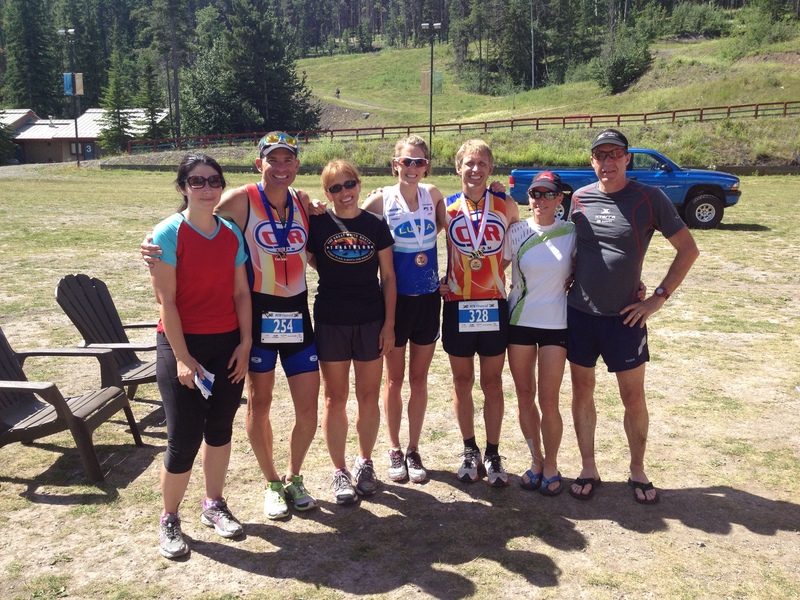 As far as triathlons go, I started out doing the kid’s triathlon in Coeur d’ Alene, ID. In high school I decided to try some longer races in and around the Spokane area including Troika 70.3 on a crappy 30 year old borrowed ten speed road bike with cracked tires and no back brake. 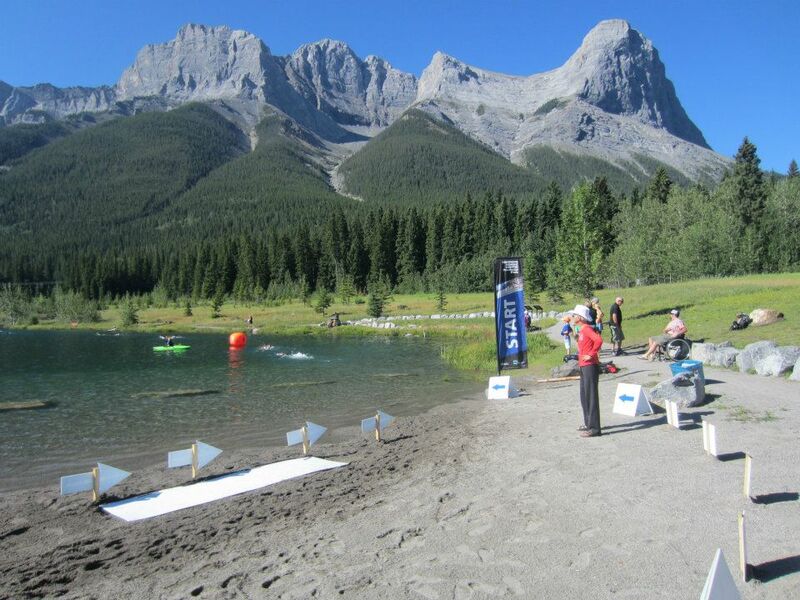 In college I continued to do triathlons in the summers. 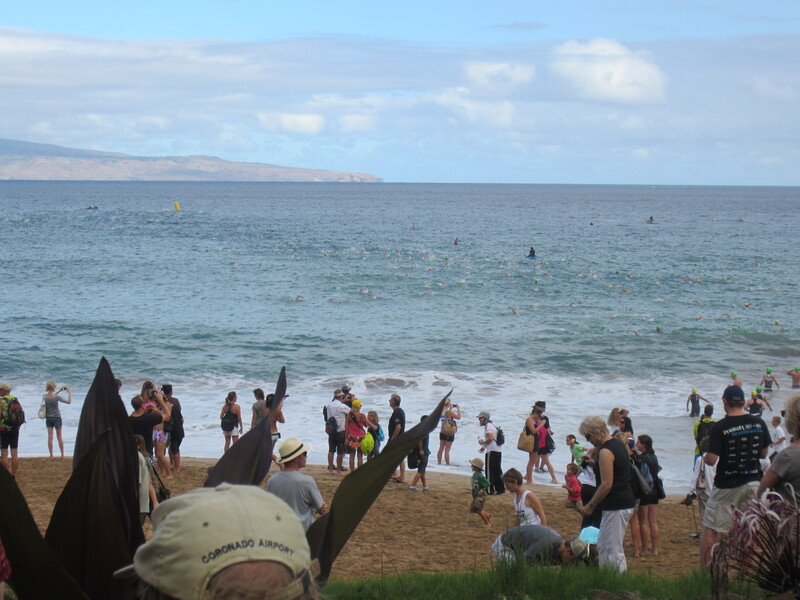 The summer of 2002 I qualified for the Ironman World Championships in Hawaii. 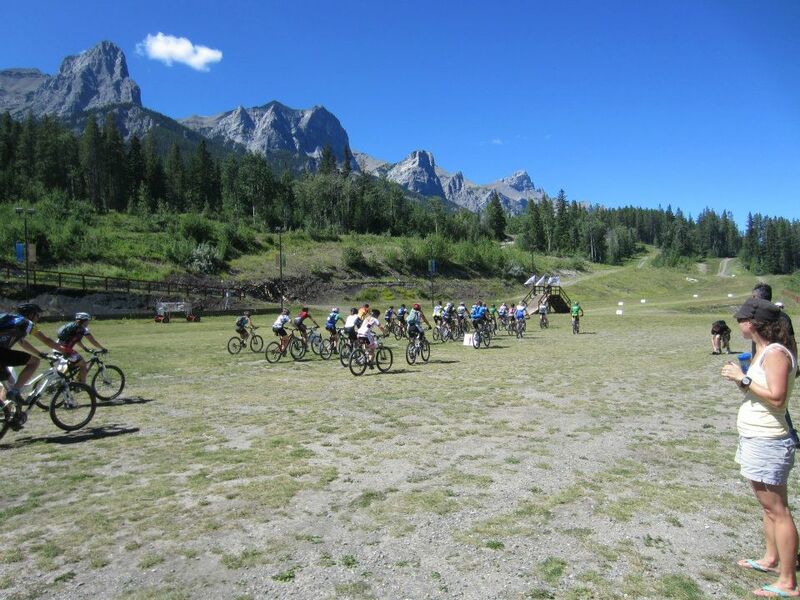 After that race, though, I realized how much I despised road riding. I sold my road bike and never bought another one. I am married and have two kids now; a 3.5 year-old girl and an 8 month old boy who was born on Labor Day. 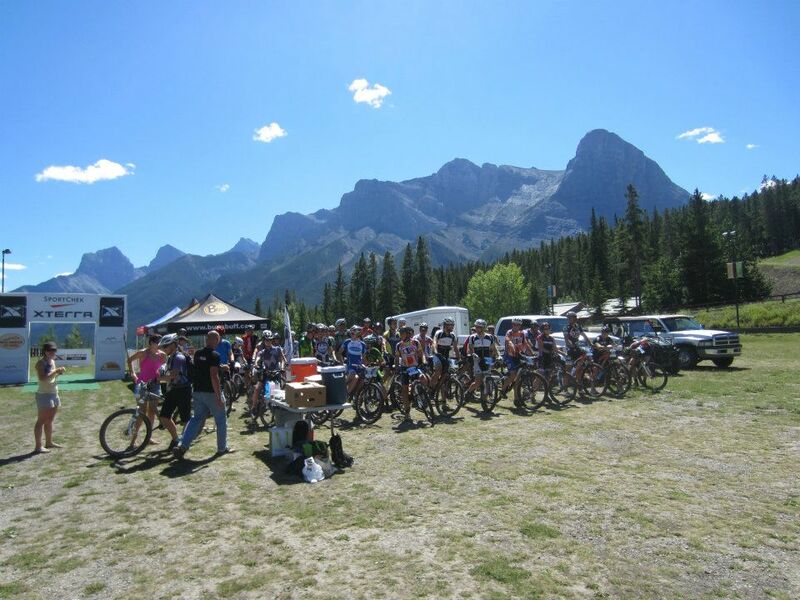 Obviously things are quite different then when I first began riding mountain bikes and running trails ten years ago. Ninety percent of my training now happens on a spin bike in our living room during a nap time or pushing/pulling the Chariot on paved paths and county roads. 2. 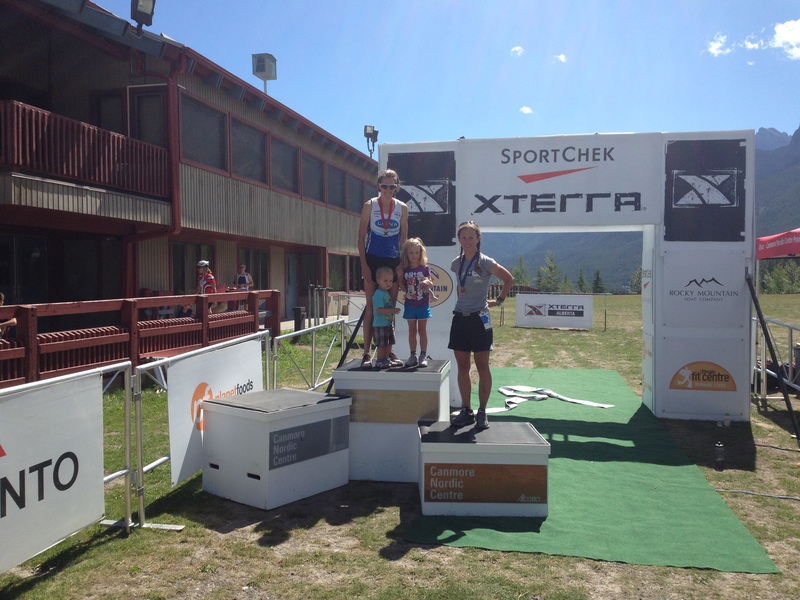 What motivated (or continues to inspires you) to get training and racing again after one child? And then two? How does life with one versus two compare? As any pregnant lady would agree to I wanted to lose the extra baby weight, fit back into my clothes, and feel somewhat normal again! Being a stay-at-home mom exercise is an outlet for me and I look forward to it every day. I have always been a highly competitive person who enjoys challenges. Competing just adds a whole other level of challenge, fun, adrenalin, focus, and motivation. 3. Did you train during your pregnancies? What was/has your training been like post-childbirth? Yes. However, I strongly discourage using the word “train” when you’re pregnant. It’s easy to become obsessively worried about losing endurance fitness, muscle strength, gaining too much weight, and feeling like you’re not getting enough training time in. I preferred to use the term “exercise” instead. My only objectives for exercising were to maintain some level of endurance fitness, maintain a healthy pregnancy weight, promote the healthy growth of my baby (if you’ve read Dr. James Clapp’s book Exercising During Pregnancy you know what I’m talking about), and most importantly to help me feel better emotionally and physically. Before I had my second baby I trained about 10 hours/week on average very consistently with a coach at Carmichael Training Systems, but that has changed. I only put in about 6-8 hours/week now and most of that takes place on a spin bike, pulling the Chariot, or running with the Chariot. 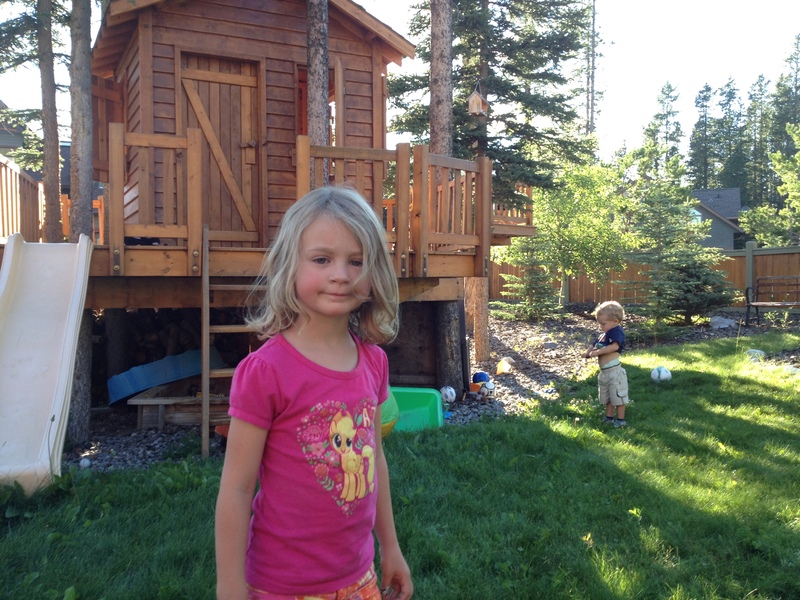 Having a three-year old daughter I often find myself bagging my training to spend a little one-on-one with her. Each day is full of so many unpredictable variables such as kids waking up early, disrupted naps, cranky kids, kids needing attention, unplanned outings with friends, etc. Therefore, I do not train with a coach anymore and do not follow a structured training plan. I just make the most out of the time I have when I have it and rest when I’m tired. 4. What are your current training/racing ambitions for 2013? 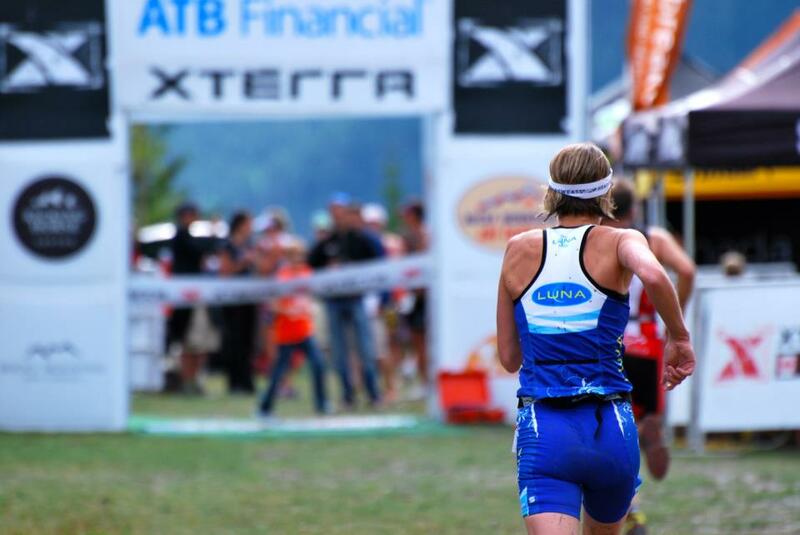 I had big ambitions such as winning the TEVA Mountain Games UMC, finishing top 7 at as many XTERRA regional races possible, and top 8 at XTERRA nationals. The reality of family life with another little one has changed things a bit. Due to our family lifestyle, chosen commitments, work obligations, and financial limitations, racing full-time seriously is not logistical nor realistic for us anymore. So, I have decided to finish out this year’s 2013 season with a few races but without a serious outlook. 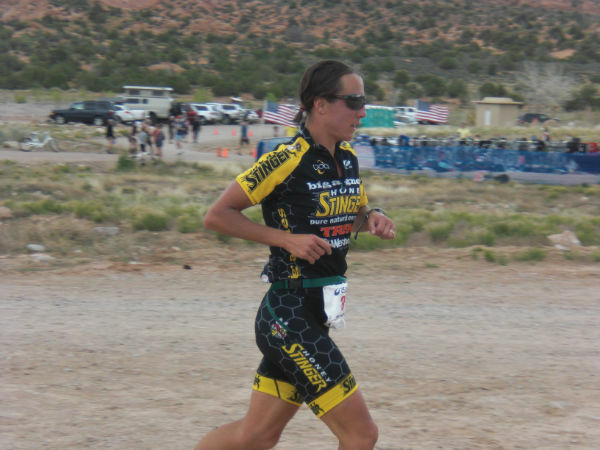 That means no pre-riding, no special periodization to my training, and choosing races that allow us to make family camping trips out of them such as XTERRA Moab and the HoneyStinger mountain bike race in which my husband and I will race as a duo together. 5. How do you balance family/work/training/competing? I used to teach kindergarten but am currently a stay-at-home mom. Family always comes first. I have two kids and a great husband whom I devote my attention to first. Training and racing are scheduled around that. Most of my training happens sometime during the day to allow my husband time when he gets home from work to get a bit of exercise in too. 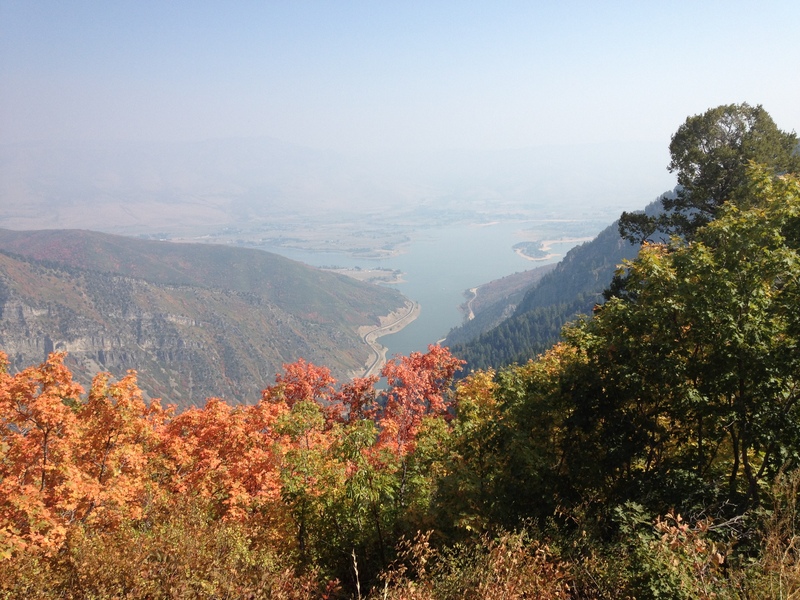 Oftentimes my training rides/runs with the Chariot take place after I have taken the kids swimming at the Glenwood Hot Springs pool where we have a family pass. 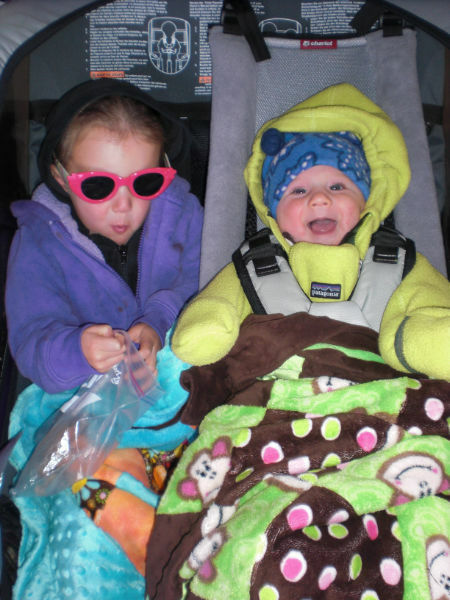 While my legs usually feel like crap after being in the hot water I find that my kids are content to sit in the Chariot, eat snacks, take naps, and simply hang out. Obviously it’s not the most effective way to train, but when you have kids you’re training with it works pretty darn well. First, I would encourage all new moms to read Dr. James Clapp’s book Exercising During pregnancy. Also, take out the word “training” and replace it with “exercising” when you are pregnant. 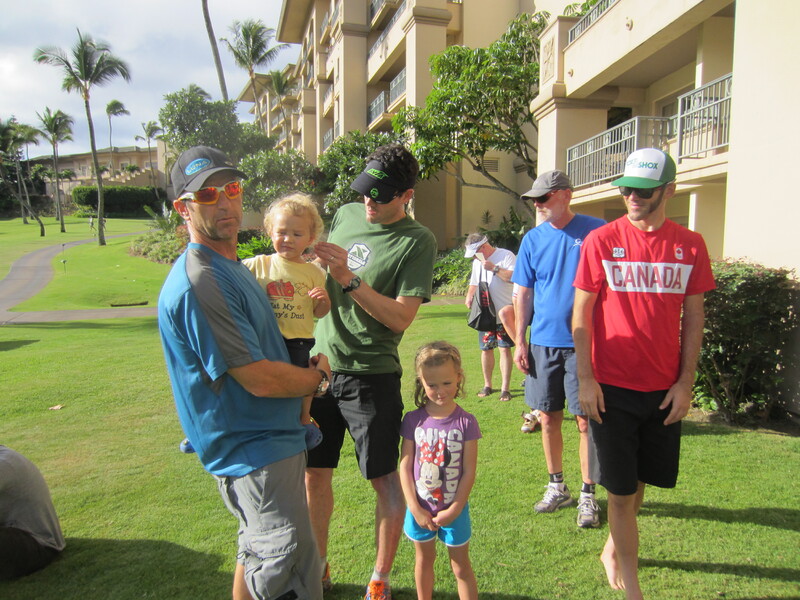 Make sure that you keep a healthy balance of your time devoted to family, work, training, and racing. 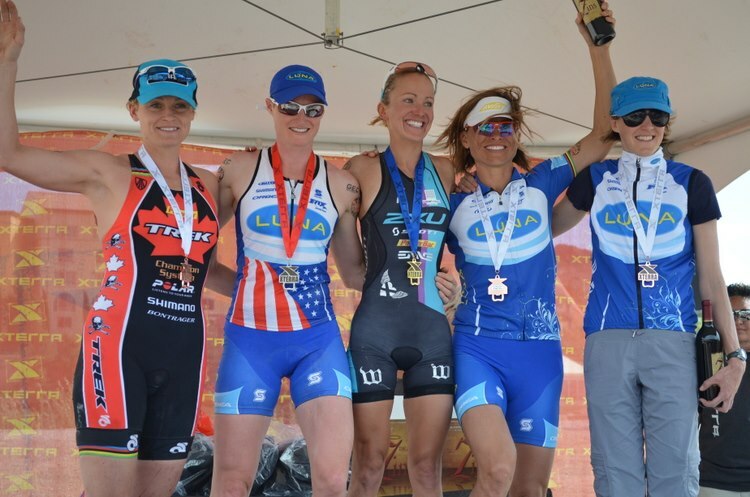 I would sometimes find myself comparing myself with other professional mom athletes and wanting to race and do as much as them. But, I had to be mindful of the fact that our family lifestyle was not the same as their’s. So, plan to be mindful of your family’s lifestyle and your time. Also, plan to be flexible with your structured training plan if you have one. And, don’t run too much with a double Chariot! I have Plantar Fasciitis tendonitis in my foot due to the 70 pound stress load from when I started running hills and intervals with our Chariot late last winter. 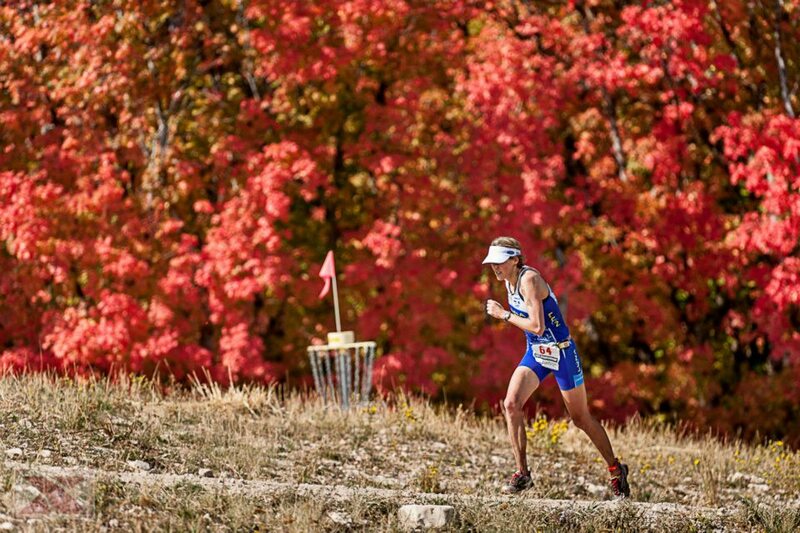 In fact, I have only ran two times since late December and that included XTERRA West Championships this past April. That probably explains my terrible run split at the race! Thanks Kelley! You can follow her adventures on her blog here! 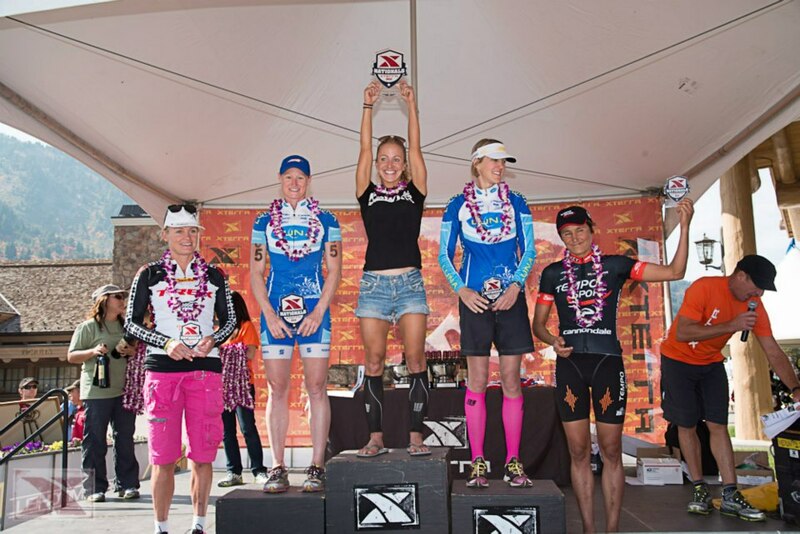 Jamie “J-Dawg” Whitmore was the female Pro to beat when I started racing Xterra, and I would say she is still one of the biggest triple threat’s Xterra racing has ever seen with a fast swim, mad bike handling skills, and super fast feet on the run. 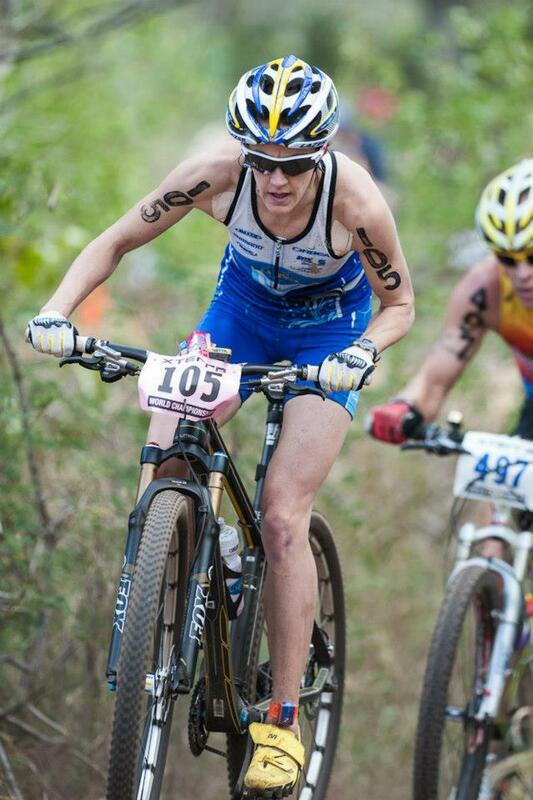 Jamie started racing Xterra’s in 2002 and over the next six years she won 37 championships in a dozen different countries, including the XTERRA World Championship in 2004 (pictured below). 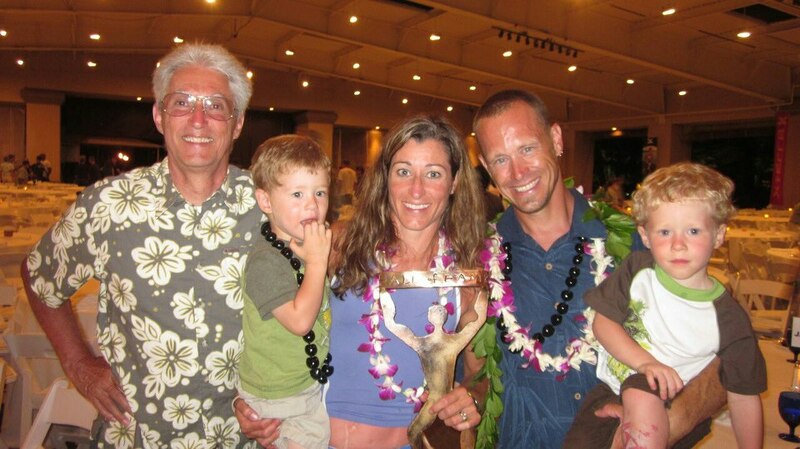 She is still today the most successful female pro the sport has ever known and was recently inducted into the Xterra Hall of Fame at the 2012 World Championships. Jamie was diagnosed with cancer in 2008 and began the fight of her life. She fought hard through unrelenting pain, several setbacks and rehab and is now cancer free. And due to her radiation therapy, Jamie was told she’d never have children. But she proved that prognosis wrong too and gave birth to twins boys – Christian and Ryder, in January, 2010! 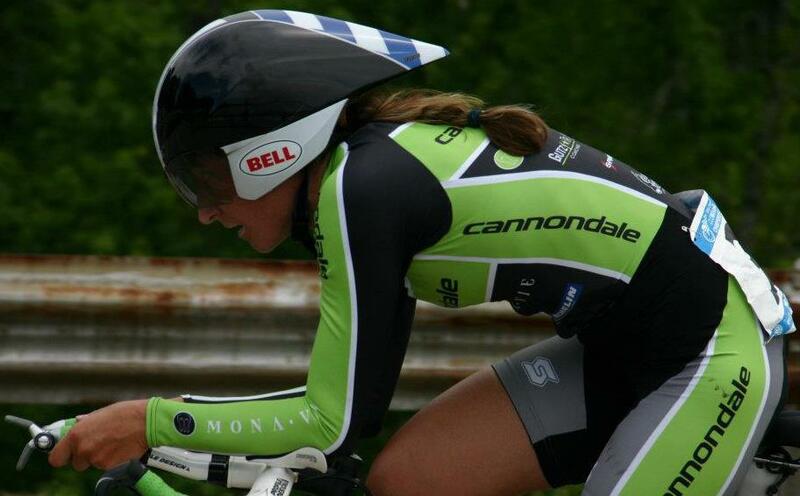 She was told she would never ride or run again either – let alone compete in triathlon. With the same determination, Jamie proved that wrong. Swimming was part of her rehab. 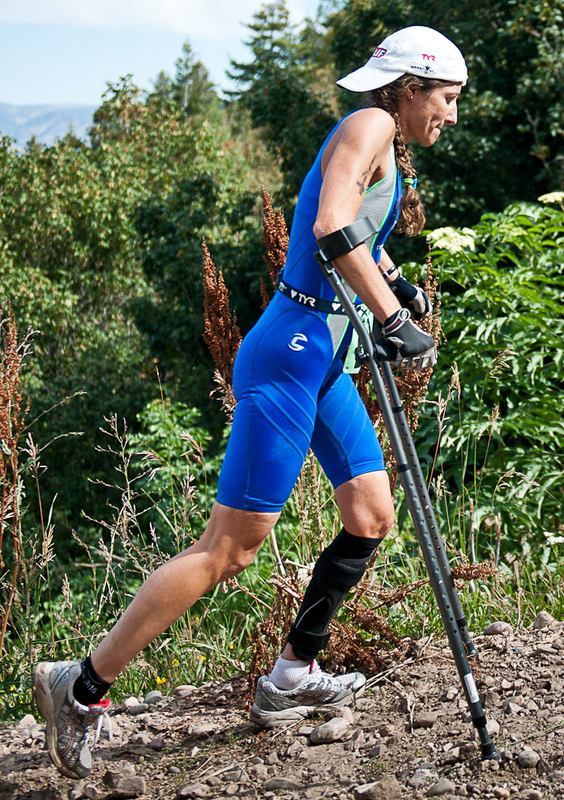 And, with the aid of a brace she is biking and adds crutches for running. 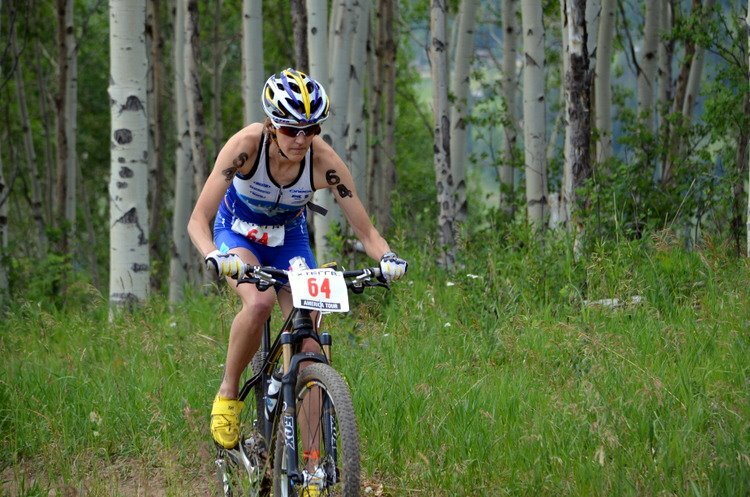 She returned to XTERRA racing last year at the Pacific Championship in Santa Cruz and Nationals in Utah (pictured below on the run). 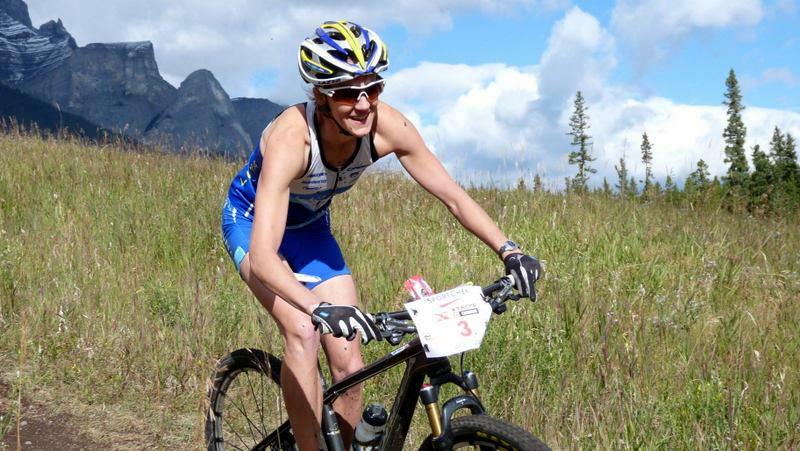 In 2012 she also competed at the XTERRA Guam Championship, the legendary Leadville 100 MTB race, and reignited her Olympic dream by winning the National Championship Time Trial for C-3 category Paracyclists. 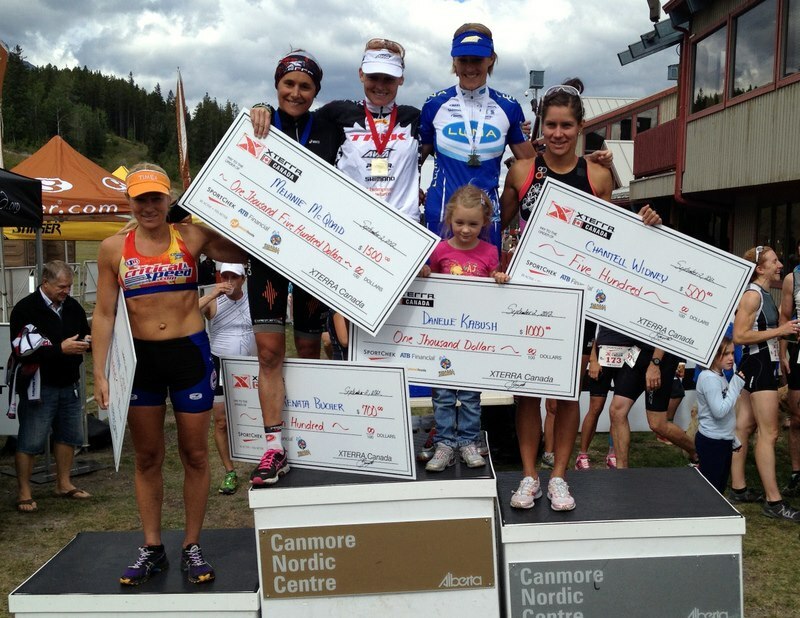 Read below to learn more about how Jamie has continued her athletic and return to competition as a mom! 1. 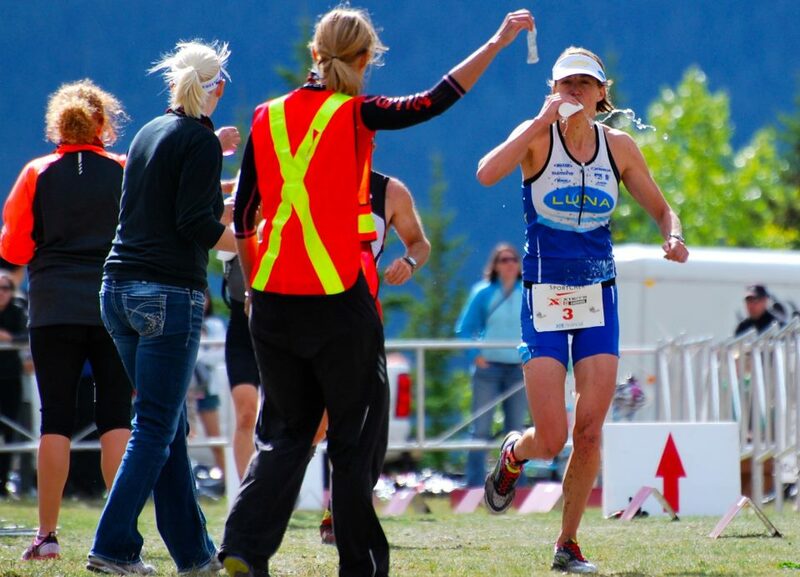 Can you describe your athletic/competitive life has evolved before and since becoming a mom? And any special challenges/benefits with twins? I used to think it would be no big deal to pop out a kid and then return to racing! Oh how naive I was! Being a Mom is hard when you work and want to train! You are on call 24hrs a day. If they are sick, they want you not daddy or papa . . . always Mom!! I used to train when I felt like it. Raced whenever. I could just hop on a plane and go to Maui or whatever I wanted. Now it requires planning all the time. Just to go ride I have to make sure the boys have lunch made so my dad doesn’t have to do it. If I go on a trip I have to plan meals and pack all clothes for them even if I am just leaving them with my dad! And if I take them with me . . . now that is even more work because now I have to figure things out on the road! Twins make it even more difficult because there are two that go in different directions. No older sibling to help corral them! Then throw in my disability . . . . both boys know they can outrun me so I constantly have to think ahead. Everything used to be about my racing and what I wanted to do . . . as much as I drag them everywhere and have taught them to be flexible I often put them first before making decisions! They even dictate when I train. Always when they nap or before they wake up! On easy days I spin on the trainer while we all watch a movie like Cars or Toy Story!! I try to get quality time in with them as much as possible! 2. What is your biggest motivation to stay active/competitive at this stage of your life? This has a lot to do with my cancer and disability! I stay competitive because I want to show my boys that they can do anything they put their minds to. It might not be how they pictured it or achieved in a different way but they can still do it! On paper I should not be able to bend my knee which means I shouldn’t be able to ride a bike but I am . . . that alone pushes me to keep pushing the limits! You don’t know unless you try! And when you have been unable to do something for 3 years it is all the motivation to not take it for granted when you can do it again! 3. 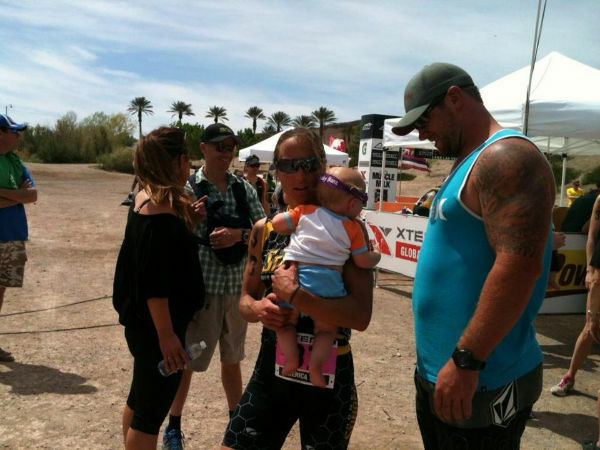 How do you balance your family, work, and training/racing? Extended family is a huge blessing! My dad is amazing. He watches the kids all the time for us so that I can train and work. If it weren’t for him I would be riding the trainer all the time or getting up at 5am just to get a ride in! And who wants to do that??? I try to train when the kids are napping so that I don’t miss out on spending time with them. 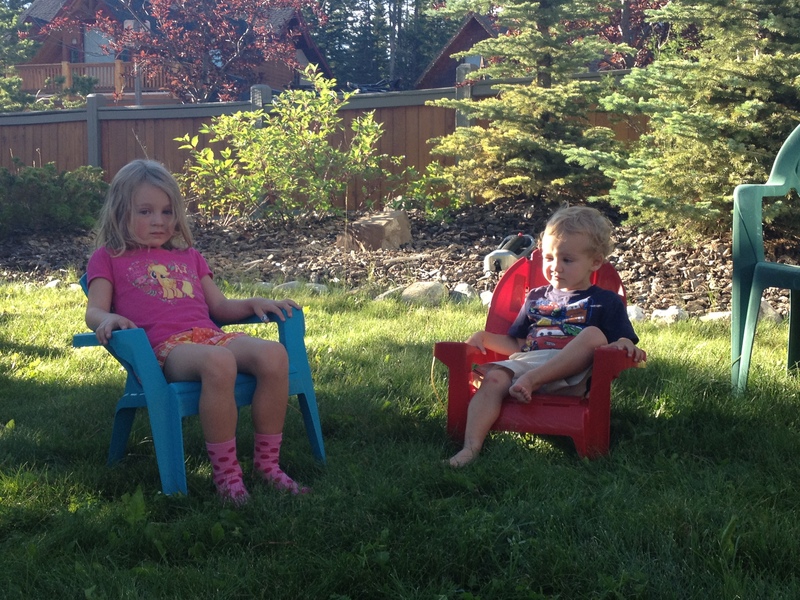 When I am coaching (work) I sometimes take them with me so they can hang out and run around! 4. What do your boys think of their athletic mom? 5. What are your 2013 training/competition goals? This year I hope to scope out my competition. I am new to the para cycling world (cyclists with physical disabilities) I would love to make the National A Team and travel to World Cup races and the World Championships. My long term goal is The Paralympics in Rio in 2016!! 6. Any advice you have for other mom’s trying to balance it all, while following a consistent training program every week? Don’t let training become more important than family! It is easy to get caught up in what everyone else is doing . . . but you can’t get time back. Kids will only stay young for a little while! When you do train keep it quality and not quantity. It is better to be 15% under trained than 1% over trained. 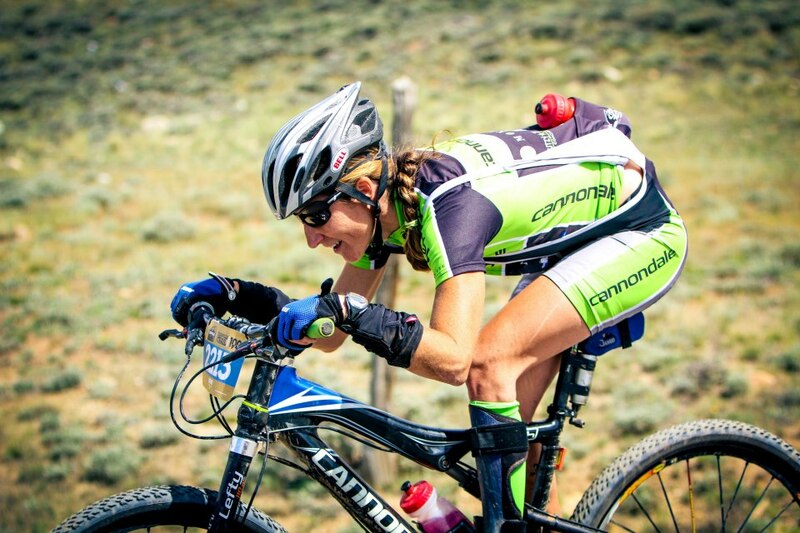 I went into The Leadville 100 race only having done a 55-60 mile ride as my longest ride! I made sure they were quality miles! In order to get all that I get in I do rely a lot on family but if you don’t have family find a friend that also has kids (if you have little ones) and trade off on watching each others kids. I have several friends with no extended family that do this so that they can run errands or clean the house! I would use it for training! As they get older you can use training time to spend with them. Take the kids out when you have an easy spin . . .they can ride their bikes too! Or let them hop in the pool with you. I love your advice Jamie and good luck as you shoot for the Paralympics in 2016! !